Last month, I traveled to California to experience the Livermore Valley Winegrower's Association premier event, Taste our Terroir. 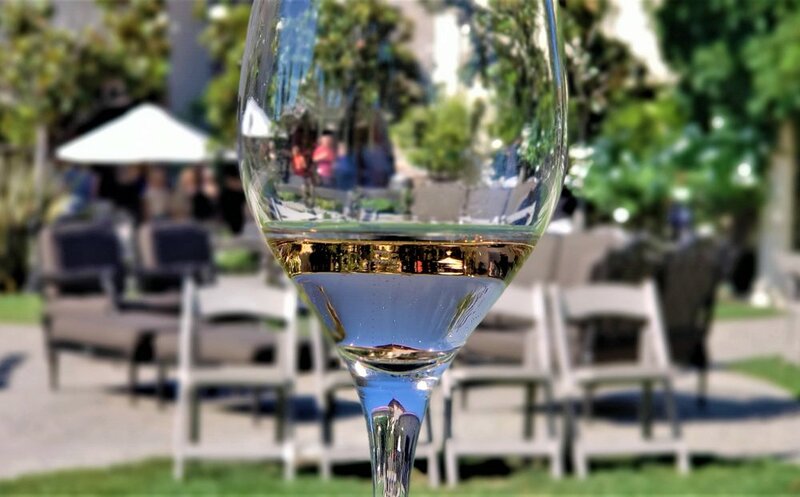 An annual celebration of one of California's oldest, but lesser-known, wine regions, Livermore Valley's Taste our Terroir takes place every July. Originally a one-day food and wine pairing competition that repeatedly sold out, it has since expanded to a full weekend of festivities, and you'll want to mark your calendars for next year. I know I do! Every year brings a different roster. 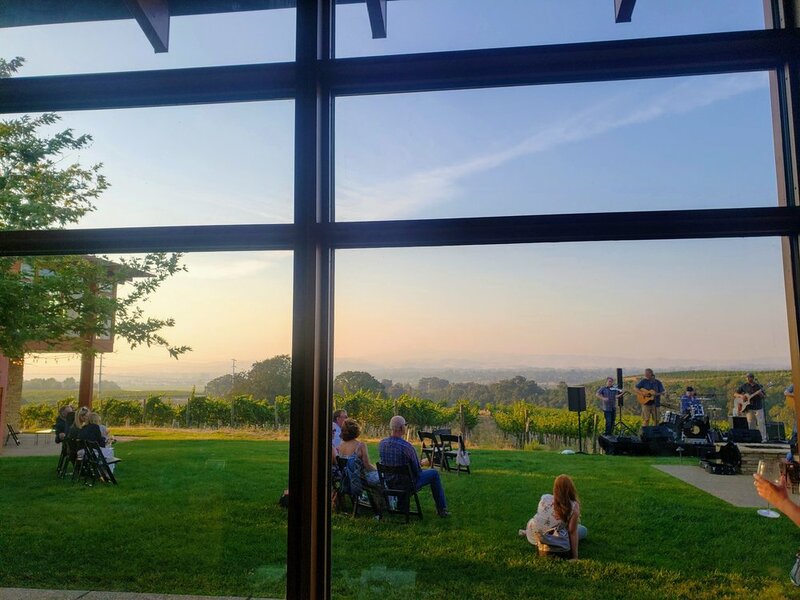 This year, from July 26th to the 29th, Taste our Terroir and local wineries hosted 12 different activities in addition to the main event - from a winemaker concert to a sunset lobster feast; from wine-tasting seminars to vineyard tours. I had the pleasure of partnering with our lovely hosts of Livermore Valley Wine Country and Visit Tri-Valley to experience three of Taste our Terroir's special offerings. The Taste Our Terroir competition on Thursday night was the signature event and the ideal way to kick off the weekend. As a journalist (and wine lover), I've enjoyed similar fetes and I have to say Taste our Terroir is one of the best I've ever attended - an idyllic setting, well-run and organized, and the friendly participants spoiled the crowd with their wine and food pairings. Surrounded by vineyards, Casa Real at Ruby Hill Winery was the perfect venue. Our evening began with a glass of Big White House Peche Mignon peach sparkling wine as we arrived at Casa Real. 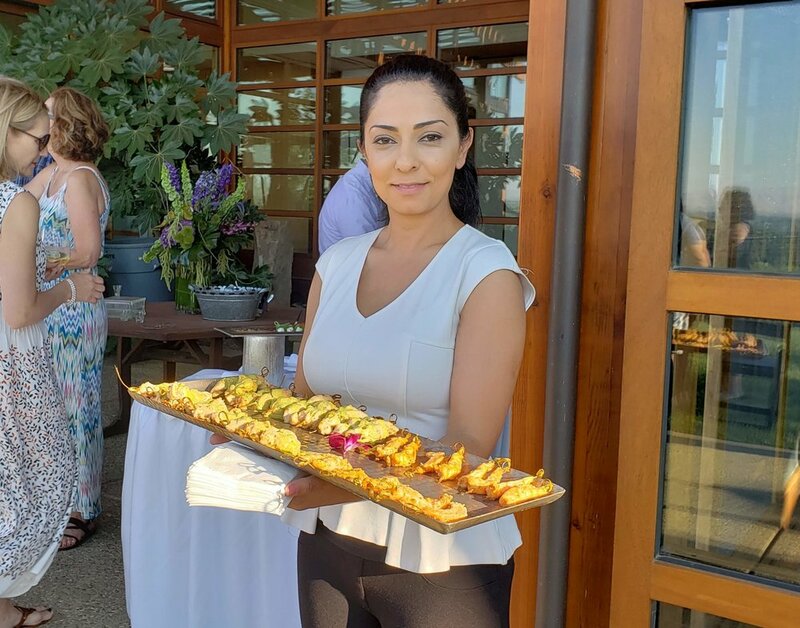 We were then escorted to an al fresco VIP wine reception in the lush and breezy Sun Garden where more wines were poured, such as Elliston Vineyards and Darcie Kent Wines, and Olivina olive oil sampled. These superlative olive oils are harvested from trees planted in 1881, pressed, and bottled on a historic estate. These were my first introductions to Livermore Valley wine and olive oil - a true taste of terroir. Indoors in the Grand Salon, twenty Livermore Valley winemakers had partnered with Bay Area chefs to compete for judges' and people's choice honors. Along with savory dishes, the night ended on a sweet note in the dessert room. I especially loved Rios Lovell Estate's cabernet franc port. Best Pairing: Longevity Wines and Backdoor Bistro with a 2017 Pinot Blanc paired with shrimp aguachili and melon on a chili-dusted potato chip with avocado crema. Both Judges' Most Innovative Pairing and People's Choice Best Red Wine Pairing went to Wood Family Vineyards and First Street Alehouse with a pairing of VIVA Cabernet Sauvignon and curry fried chicken with mango chutney aioli and chimichurri by chef Tara Teetsel. 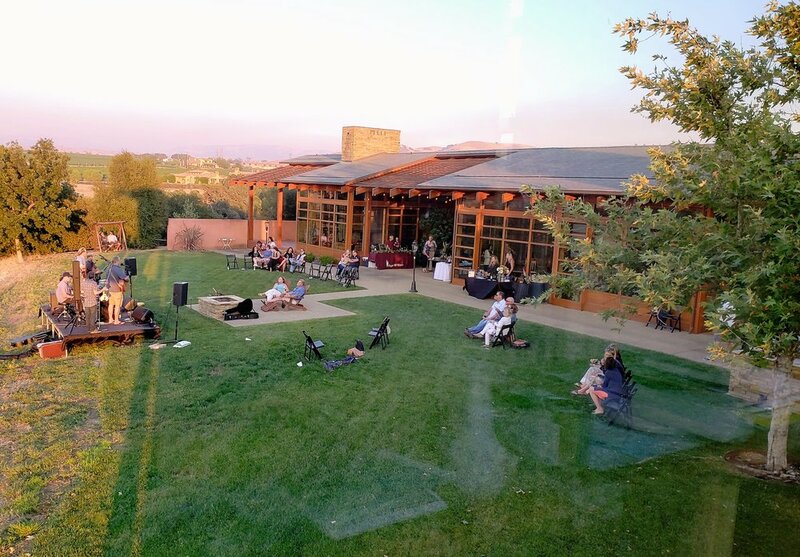 The next evening, we joined fellow guests at a beautiful private home and vineyard for the Winemaker Concert at Chandler Estate Vineyards. 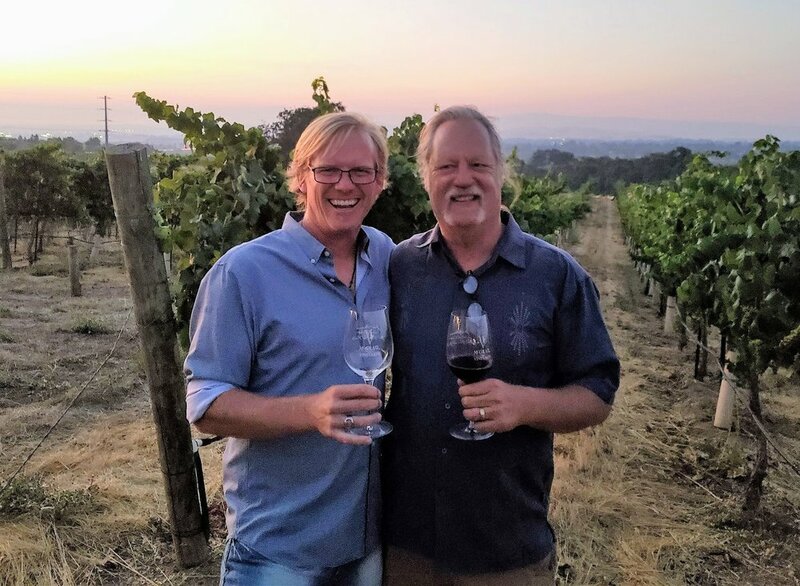 Mark Clarin of McGrail Vineyards (winner of a People's Choice pairing above) and Dane Stark of Page Mill Winery source their chardonnay grapes from this property, and not only are they skilled winemakers, but they also entertained the crowd with their musical talent. 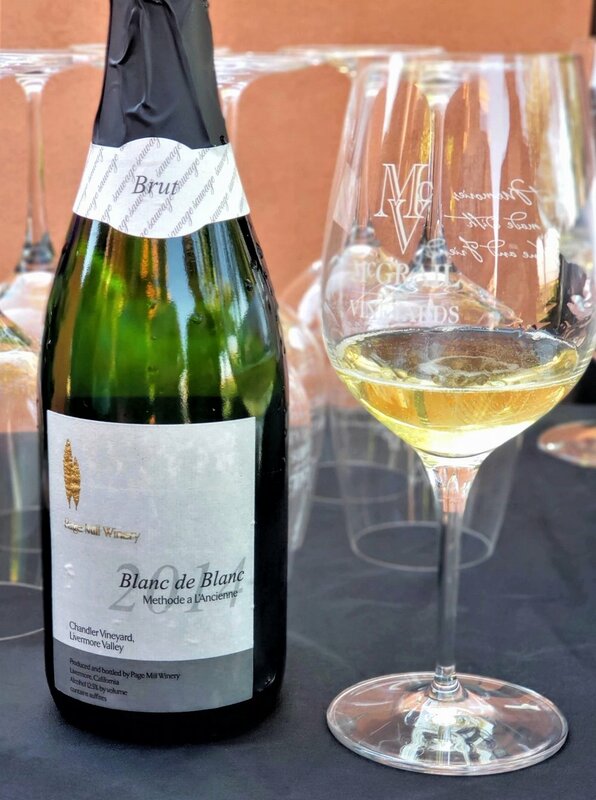 We were greeted with Dane Stark's blanc de blanc, a sophisticated sparkler made by hand - from a double fermentation to bottling and corking - using chardonnay grapes grown on this 20-acre vineyard. As the sun set, our media group mingled and chatted with our hosts and the winemakers as we sipped on Page Mill's and McGrail Vineyard's wine. It was a special honor to spend some time with these engaging and passionate vintners who are winning accolades and making their mark on Livermore Valley's exciting wine scene. And a heartfelt thank-you to our gracious hosts, David and Karen Chandler, who opened their gorgeous home for this exclusive event. Their stunning house is one of only four residential homes designed by famed architect César Pelli, and took two years to design and three years to build. Our group ended our fun-filled weekend of Taste our Terroir activities on Saturday morning with a chance to enjoy Yoga in the Vineyard at Retzlaff Vineyards with DragonFly Yoga under the shade of 100-year-old pepper trees. This picturesque family-owned winery is a certified organic vineyard and situated on a historic Victorian estate (look for an in-depth feature next week as I spotlight the local wineries). 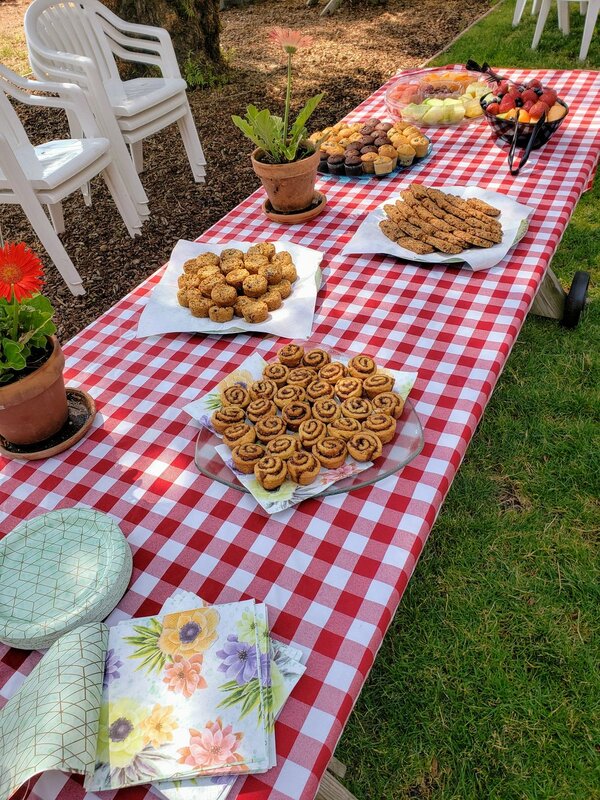 Afterwards, all were invited to stay for brunch along with tastings from Nella Terra Cellars, Omega Road Winery, and Retzlaff Vineyards. Nella Terra Cellars is a small but growing vineyard. As I was poured their aromatic estate Viognier, I learned that though they source from other vineyards, on-site they grow Pinot Noir and Viognier on 2.3 acres, just planted another two acres of Petite Sirah and Primitivo, and are planning to plant another eight acres in the spring. I drank more liquid education with a new-to-me grape varietal called Alicante Bouschet in the newly-released Madera by Omega Road. Isabelle's Blush, a Merlot Rosé from Retzlaff was the perfect refreshing summer sipper. A Gold Medal San Francisco Chronicle Wine Competition 2018 winner, this was one of the bottles that came home with me. For a full list of this year's events, visit this link. But you don't have to wait until next year to experience the wineries of Livermore Valley. The Livermore Harvest Wine Celebration returns on Labor Day Weekend on Sunday, September 2, 2018. Visit more than 35 wineries as they host festivities at their individual tasting rooms and vineyards, celebrating with wine, food, local artisans and live music. Visit www.LVwine.org for tickets and details. Click photo below to read more in my series about my Livermore Valley trip as I share 9 Places to Wine and Dine.